Our 108 winter sun salutations are black light & candle lit with energizing & transcendent music. 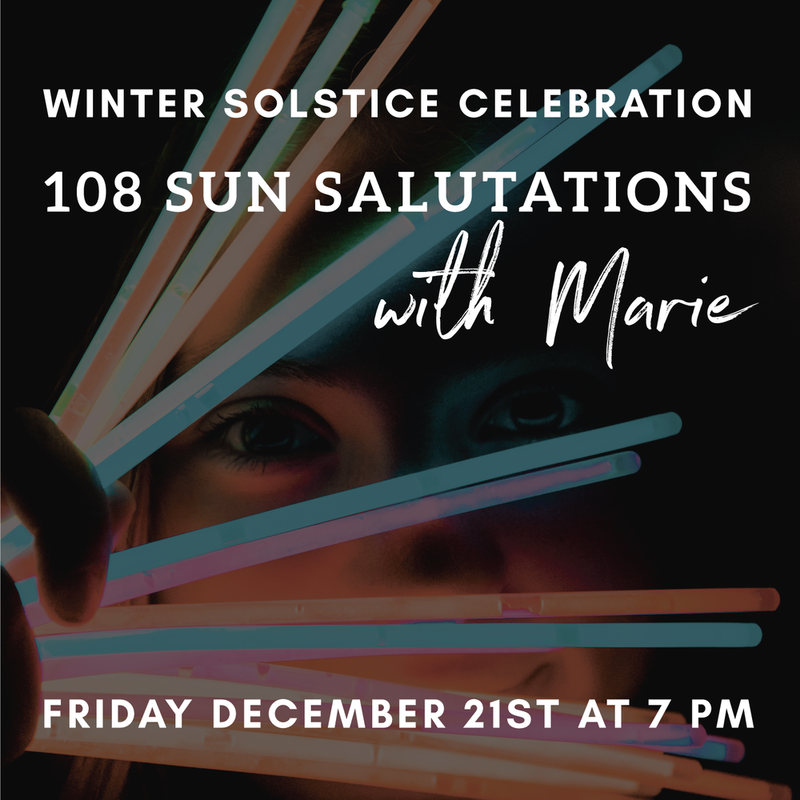 You do not have to complete all 108 sun salutations, just come and share in the energy of flowing together as a group in this ancient tradition meant to welcome the changing season. We will have body paint at the studio, feel free to wear white or neon colored clothing to glow. No experience is necessary but some knowledge of sun salutations will be helpful. Yoga begins at 7pm. Please arrive by 6:45pm.